As we near the end of another year, it’s time to look back at what our team has contributed to the Don’t Panic Labs blog. Usually, we just cover what was published on our blog, but 2018 saw the launch of Doug Durham’s own site and blog. In late September, he began a three-part series entitled “The Danger of Incomplete Pictures.” While only the first part is on the list, I think of its inclusion as representing all three. They are definitely must-read material. I’ll be honest, cutting this list off at 10 is difficult, but I think we can agree that giving you a Top 58 just isn’t the same. 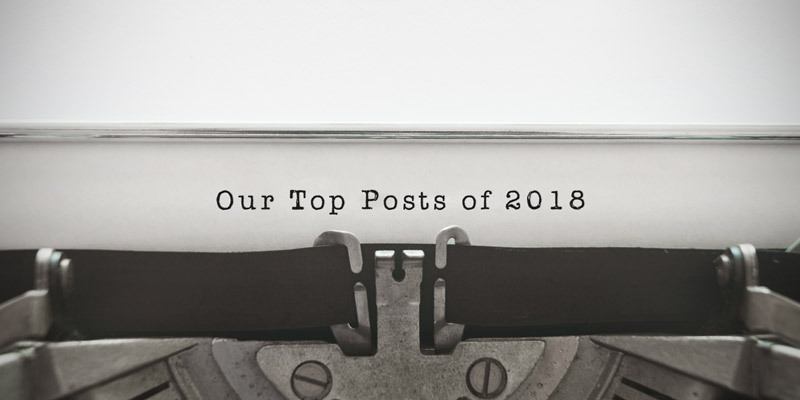 So in no particular order, here are our most popular posts of 2018. Is there a post that you enjoyed that didn’t make this list? Sound off in the comments below. We love conversation. Choosing a UI Design Tool: Adobe XD – Sophie Lorenz, one of our User Experience Designers, provides a quick intro and review of one of her favorite tools. My Favorite UX Books + Why – Lead User Experience Designer Bob Whitmer gives us his list of favorite books. If you’re looking for a place to start when it comes to sound design, Bob provides several great options. 5 Security Resources for Developers – When working on any software project, security should always be top of mind. In his April Vogon Poetry presentation, Software Engineer Santi Murtagh recommended some excellent security tools for developers. Getting Started with Swagger API – Software Architect Chad Michel had a banner year for blogging. He has published one post per week since August 2017. Whether it’s a funny list (see his Top 10s) or a multipart series covering a tool or technology, his contributions are invaluable. In this post, he introduces us to Swagger API which helps document and test APIs. Making Sense of Blockchain – We keep hearing about blockchain, but how will it affect us? Perhaps we can’t quite see where we’re headed. Doug Durham suggests that we put blockchain in some historical context to better understand where we are and where we might be headed. Notes from the 2018 Summer Interns – This summer we hosted eight interns who contributed to a few different projects (and learned a bit about the many opportunities here in Lincoln). Their recap is a post you don’t want to miss. The Danger of Incomplete Pictures, Part 1 – Mitigating as much risk as possible before a single line of code is written is vital for software projects. In the kickoff post to his three-part series, Doug Durham describes what he sees as a contributor to re-work, missed schedules, and poor product fit. Spooky Software Failures – Chad timed this post just right. He made Halloween this year just a bit scarier by sharing a list of troubling software failures from a range of industries. Top 10 Quotes to Use in Meetings – Sometimes we just need some lighthearted posts, and Chad doesn’t disappoint here. If you ever want to sound smart or witty, he provides some pretty good options.